Why do you need to learn driving? There are numerous reasons but precisely if you have a vehicle then it is a must to know how to drive your car and the rules and regulations on the road. Hence it is very important to take driving lessons to get started. You believe it or not but driving your own vehicle is a confidence booster. The moment you are behind the steering you can feel an immense power energizing within you. Then gradually you get to know your vehicle. It is almost like rearing your own child.Now let us get started about how you will drive your own car. Firstly, you will have to take driving lessons from a reputed school. Secondly, without proper lessons you will not be able to pass the test. This will result in not being able to get a driving license. So for getting the license it is ideal that you enroll yourself in a reputed driving school. There are many advantages of learning driving from a proper school. Firstly, you can learn driving very well which might not be possible if you learn from a non-professional person. Secondly, the chances of accidents while learning driving are reduced. Thirdly, you get to know about the car mechanically and you also learn how to fix up your car if it is broken.There are thousands of driving schools near and far. But it is very important to go for the appropriate school. You must do a bit of research before joining. Firstly, make sure that you choose a school which is renowned. Their theory classes should cover topics that include all the latest traffic regulations and rules. Secondly gather a bit of information about the driving instructors of that school. You can be a good driver only when you get proper guidance. Hence, the instructor must have experience and friendly by nature, which will help you to cope up with the driving lessons comfortably.Another important thing that you need to decide before joining any school is the course. There are different driving courses available to suit your requirements. 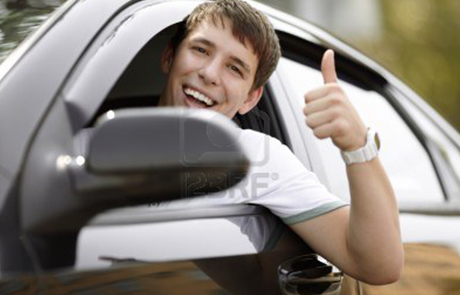 You can go on an extensive driving course that will be on long term basis. You will be taught about every aspect of driving in detail. You will then pass the test with flying colors. You can also go for short term driving lessons. This is ideal if you require a driving license immediately and do not have enough time for an extensive course. Hence, select the driving school that will be apt for you and get ready to hit the streets with your new car. Request a driving school in your area!